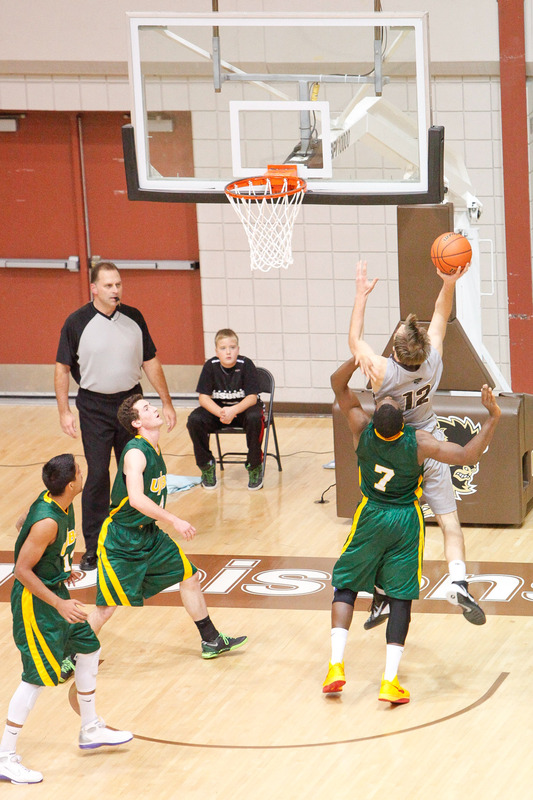 Undefeated at home heading into this past weekend, the University of Manitoba men’s basketball team met their match against a much bigger Victoria Vikes squad. Despite their best efforts, the Bisons fell in both contests at Investors Group Athletic Centre. Friday’s action saw the Bisons take a 43-39 lead into the half, before being out-rebounded 25-12 in the second half, eventually falling 88-75 by game’s end. In the battle of big men down low, Victoria’s Chris McLaughlin put on a strong display, recording a double-double, with a team-leading 15 rebounds to go with 19 points. Manitoba’s best man against the glass, Wyatt Anders, was held at bay after running into early foul trouble, recording just one rebound, which helped aid in the Vikes’ win. Things started getting chippy in the fourth quarter, after a few questionable foul calls against the Bisons. Both Anders and Justus Alleyn, who finished with 14 points, engaged in skirmishes with the visitors, while Schepp received a technical foul, after an especially debatable call down the stretch. A positive in Friday’s loss was the play of Stephan Walton, who had been hampered by injury in the first half of the season. He played 36 minutes, and recorded a team-high 20 points, to go with nine assists in the loss. 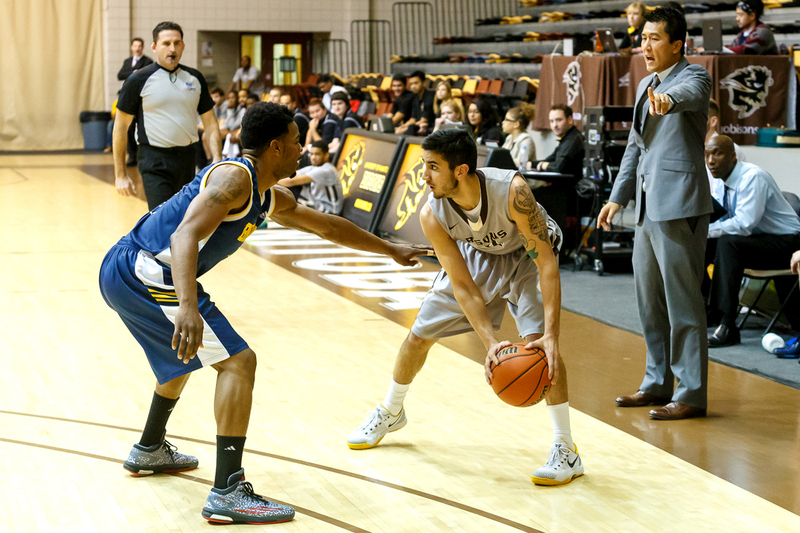 Saturday’s rematch saw Victoria march out to a 28-6 lead after the first quarter, which the Bisons were never able to come back from, losing 85-55. Anders had a much stronger performance down low on Saturday, grabbing a team-leading eight rebounds, and holding McLaughlin to nine. The power forward from Victoria still made his presence felt, though, with a game-high 23 points. Four different Victoria players including McLaughlin finished in double figures for points, while just Andre Arruda (11 points) and Anders (10) were able to get there for the Bisons. Manitoba was out-rebounded heavily for a second straight night, as the Vikes recorded a total of 53, compared to 38 for the Bisons. Next up for Manitoba is a tilt on the road with the Alberta Golden Bears. Game times are Friday at 9 p.m. and Saturday at 8 p.m. Welcome back from reading week — it’s Bison Briefs!